You can also call to reserve your spot in line. Partners Urgent Care provides convenient, high-quality health care for adults and children over twelve months old. Open seven days a week from 9 a.m. to 9 p.m. and most holidays. Visit Partners Urgent Care Canton for treatment of a wide range of illnesses and injuries from coughs and cuts, to burns and broken bones. 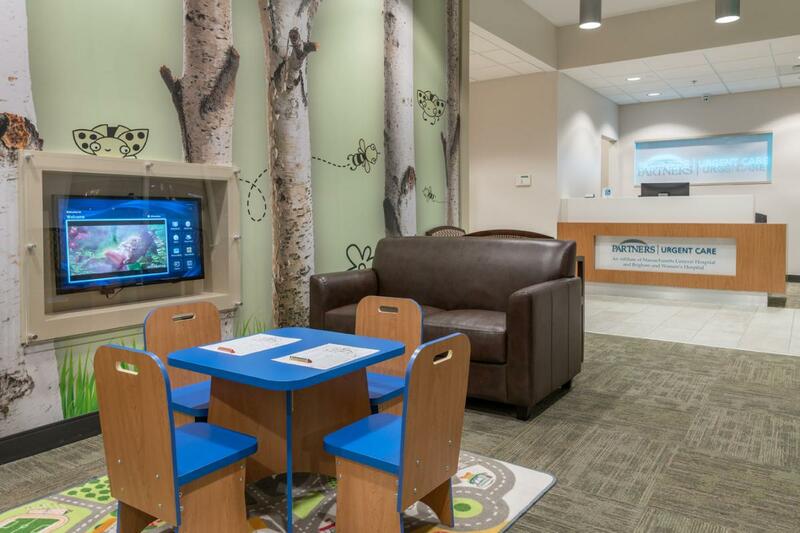 This clean, inviting center includes digital X-ray and an on-site lab for your convenience. Our comfortable patient suites include inviting couches, cable-TV, free Wi-Fi and children's activities to take some of the stress out of your visit. Most visits last less than an hour so that you can get back to better more quickly. Walk-ins are welcome but same-day and next-day appointments are also available by phone or schedule your reservation online. Most major health insurance is accepted and reasonable self-pay rates are available. 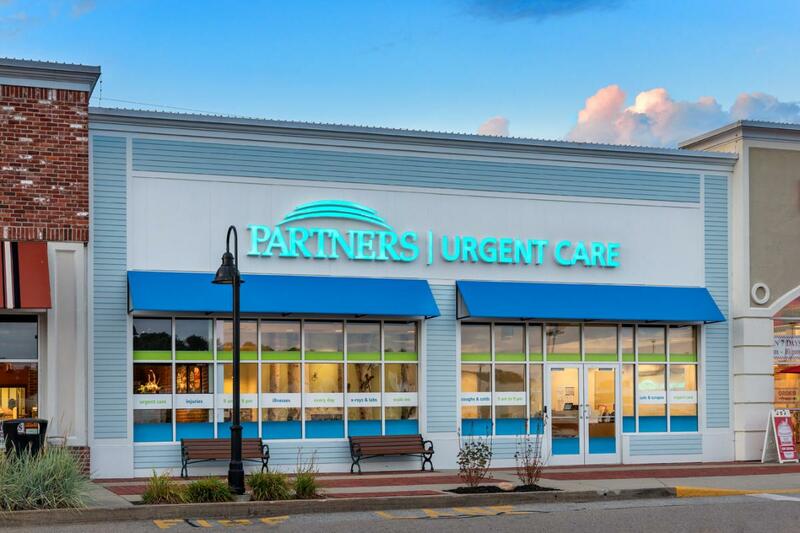 Partners Urgent Care Canton at The Village Shoppes is in close proximity to the following Massachusetts communities: Norwood, Dedham, Westwood, Randolph, Milton, Stoughton, Sharon, East Walpole, Randolph, Avon and the Boston neighborhood of Hyde Park. Traveling in the area? This urgent care is a close distance to the following hotels: Courtyard Boston Norwood/Canton, Hampton Inn Boston-Norwood, 4-points Sheraton Norwood, Holiday Inn Express Norwood, Homewood Suites Canton-Boston, Hilton Boston-Dedham. We accept most major insurance, including many PPOs and HMOs. Very comfortable setting and professional care. Everyone was very nice, didnt rush at all, truly listened and discussed. Overall truly a good experience. Thank you! Staff members were very friendly, detailed with providing me with information. I would highly recommend this facility. Thank you for the wonderful experience. Everyone was very nice and friendly! Welcome to a high-quality, convenient urgent care option in Greater Boston for when you are sick or injured. All Partners Urgent Care centers are open 9 a.m. until 9 p.m., seven days a week to treat a range of injuries and illnesses for adults and children over twelve months old. Each center is equipped with on-site lab, digital X-ray, and more. We accept most major insurance plans and walk-in visits. We have many locations in Greater Boston providing a convenient option for our patients. We provide fast, friendly service in a comfortable setting, so you can get back to better. Partners Urgent Care offers quick and convenient urgent care for a range of illnesses and injuries. From coughs and colds to cuts and broken bones, our providers offer great care in clean, modern centers when you need it. Most Partners Urgent Care visits last less than an hour so you can get back to what matters.